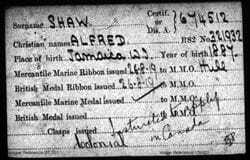 Alfred Edward Shaw was born on 17 December 1887 in Ocho Rios, St. Annes, the largest parish in Jamaica. 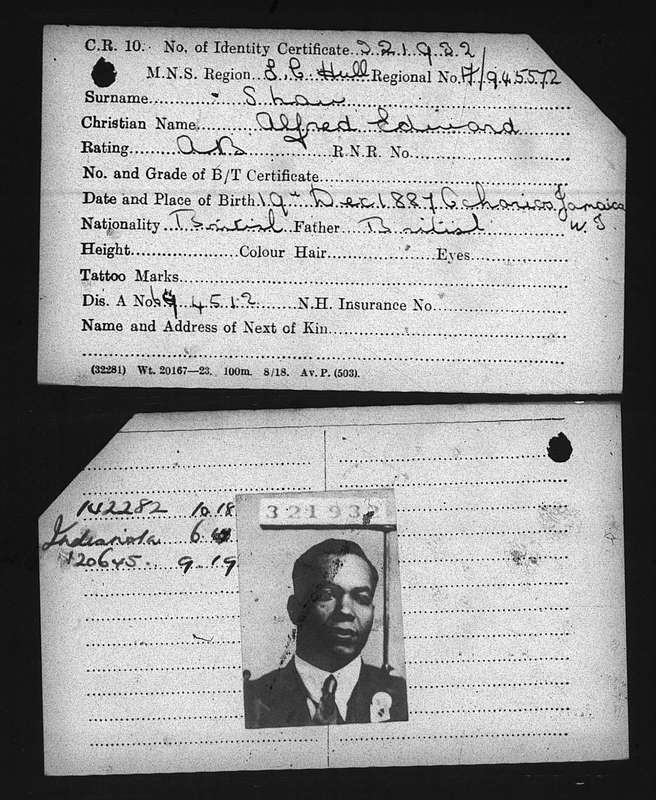 His mother was Ada Shaw, however his father remains unknown. It has not yet been determined how or when he arrived in Hull. However, Shaw was residing in the region in the summer of 1918. Although the first vessel scribbled on his sailors identification document was the Montanta, his rank as an Able Seaman demonstrated that Shaw had at least two years experience at sea and was considered to know his duties very well. These included among others working under the boatswain to ensure the ship was in good working order and standing watch at the helm of the vessel. In the summer of 1919 Shaw was employed on board the Cunard Line ship Indianola which travelled from London to Boston with freight on 28 June. When he returned, Shaw worked on board Willesden. However, very little is known about this ship. As part of the Merchant Marine during the First World War when the conflict was over Shaw applied for his medals on 26 August 1919 at the Merchant Marine Office in Hull. However, when they were sent to him on 26 June 1920, he was residing on the other side of the Atlantic. Thus the medals were returned on 14 July 1920 and he was advised to apply for them in Canada. It is unknown as to how long Shaw was in Canada. However, he returned to Britain by the outbreak of the Second World War. In early 1940, he was living at 15 Clifton Terrace on Beverley Road. Sadly, Shaw died on board the Ampleforth on 19 August 1940 when it was torpedoed and sunk west of the Hebrides. In total 9 of the 28 crewmen died. Jamaica Births and Baptisms, 1752-1920, 1389176: 375. Lancashire Evening Post, 14 June 1919.